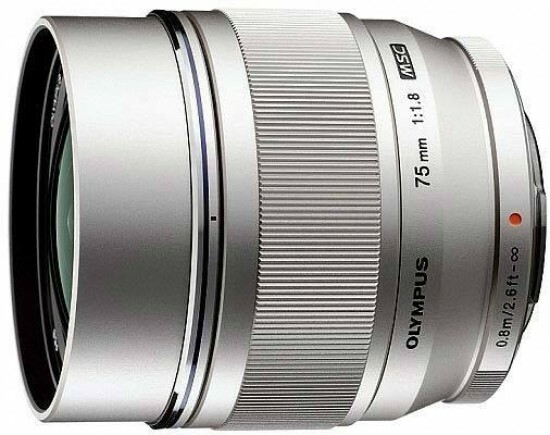 The Olympus M.Zuiko Digital ED 75mm f/1.8 is a high-grade, all-metal, fast telephoto lens designed for use with Micro Four Thirds cameras. 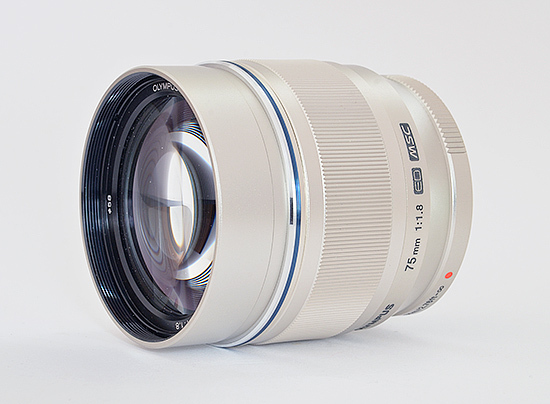 Boasting a similar angle of view as a 150mm lens in a 35mm system, the M.Zuiko Digital ED 75mm f/1.8 benefits from Olympus's Zuiko Extra-low Reflection Optical (ZERO) coating and a 9-bladed, circular aperture diaphragm that delivers a smooth, creamy bokeh. The optical formula comprises 10 elements in 9 groups, including 3 extra-low-dispersion and 2 high-refractive-index elements. The lens focuses down to 84cm and features an MSC (Movie & Stills Compatible) focusing mechanism for smooth and quiet AF operation. 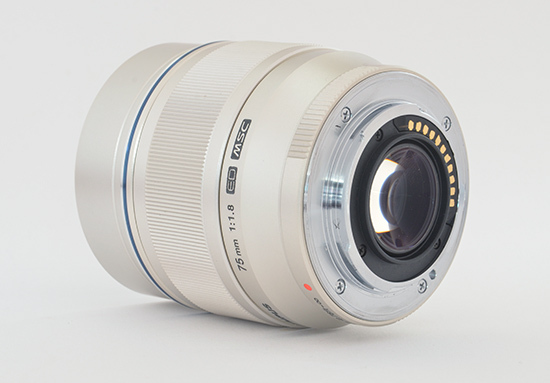 The silver version of the Olympus M.Zuiko Digital ED 75mm f/1.8 telephoto prime lens currently sells for £729 / $799. A special black edition is also available, although at considerably higher prices. 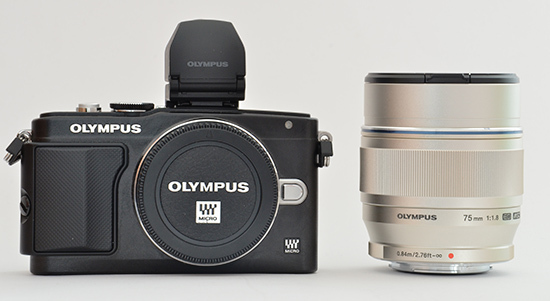 As seen in the photo above, the Olympus M.Zuiko Digital ED 75mm f/1.8 is a handful of a lens, at least when compared to many other Micro Four Thirds offerings, but it is actually quite compact for a fast telephoto lens. It's not exactly lightweight, though: weighing in at 305 grams, it feels dense with glass and metal. 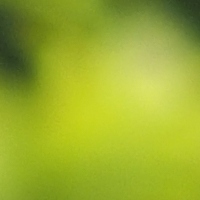 While the front element may look disproportionately huge, the lens actually takes standard 58mm filters. 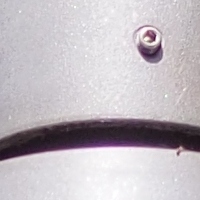 The filter thread does not rotate upon focus. 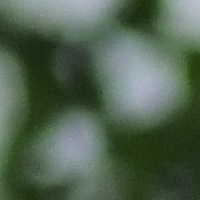 The image above also shows how large the lens aperture is wide open (nearly 42mm). The lens does not come with a hood as standard, but there is a separately sold lens hood available as an optional (£60/$75) accessory. 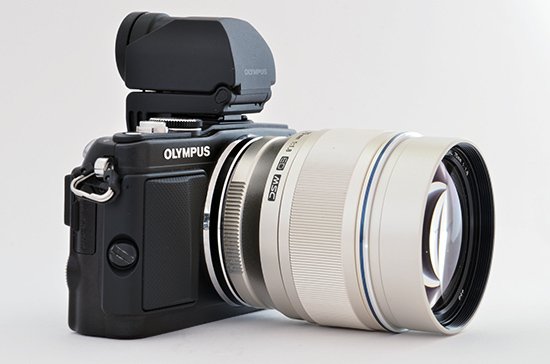 Being an all-metal lens, the Olympus M.Zuiko Digital ED 75mm f/1.8 naturally features a metal bayonet mount that allows it to be mounted to any Micro Four Thirds camera (but no “regular” Four Thirds DSLR, of course). On the Olympus PEN E-PL5 body we used for this review, the M.Zuiko Digital ED 75mm f/1.8 focused quietly – almost silently – and rather quickly too, although this isn't the fastest focusing Micro Four Thirds lens around (the heavy glass elements are probably a bit harder to move than those found in smaller lenses). The filter thread does not rotate on focus, which is good news for anyone who uses polarisers on a regular basis. 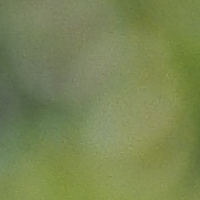 Lateral chromatic aberrations, typically seen as blue or purple fringes along contrasty edges, are essentially a non-issue with this lens – the examples below show the worst-case scenario. 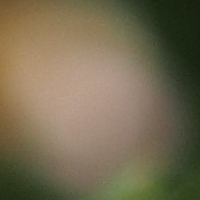 Longitudinal chromatic aberration, also known as 'bokeh fringing' is a bit easier to spot, especially in photos taken at maximum aperture, but only if you are actively looking for it. 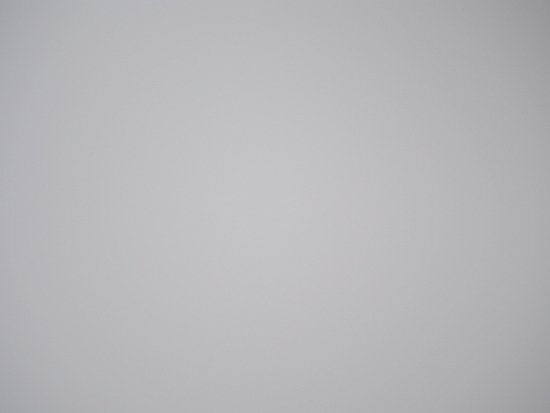 With the lens wide open, you can see a minimal amount of light fall-off in the corners. Stopping down to just f/4 cures this problem almost entirely. 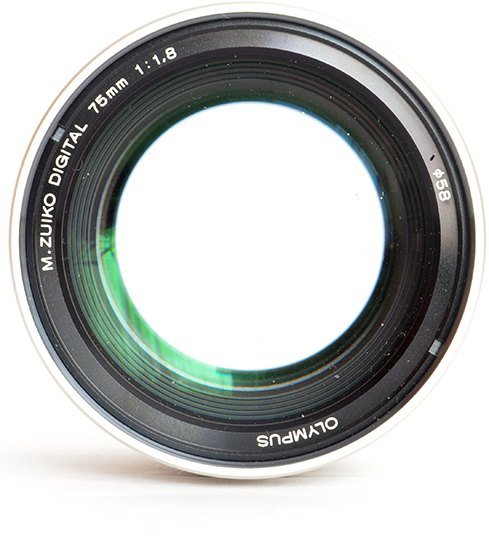 Offering only 0.1x magnification, the Olympus M.Zuiko Digital ED 75mm f/1.8 is anything but a macro lens. 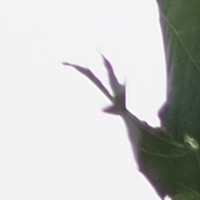 The close focusing distance is 84cm from the sensor plane. 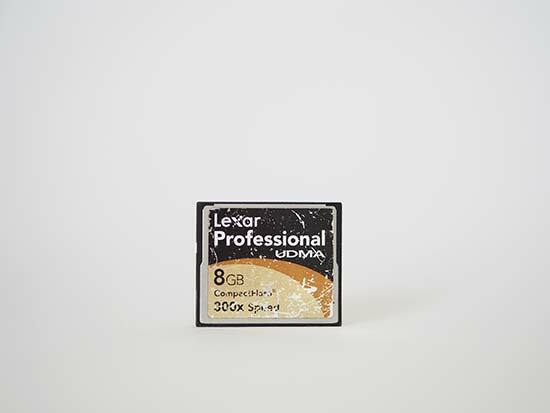 The following example demonstrates how close you can get to the subject – in this case, a Compact Flash memory card. Bokeh is a word used for the out-of-focus areas of a photograph, and is usually described in qualitative terms, such as smooth / creamy / harsh etc. One of the reasons to buy a fast lens is to be able to isolate the subject from the background, and Olympus were apparently very much aware of this as they employed an iris diaphragm with nine rounded blades for a pleasant rendering of the out-of-focus areas. Based on what we're seeing in our sample images, their efforts have been successful - the Olympus M.Zuiko Digital 75mm f/1.8 rewards its users with a nice, smooth bokeh, particularly when used wide open.